This beautiful and comfortable mother-in-law apartment is attached to our main home but has a "hotel-type" double locking doors that separates it from the main house as well as its own entrance from the driveway, making it a private and cozy space to rest and rejuvenate. Granite Counter tops, High end Appliances, wood floors throughout, kitchen & bathrooms, , French doors that open to a Balcony that has views of the Gulf of Mexico through beautiful oak trees and its own grill and seating area. Sleeps 6, Linens included, washer & drier in unit, Parking behind house in parking area as well off street! 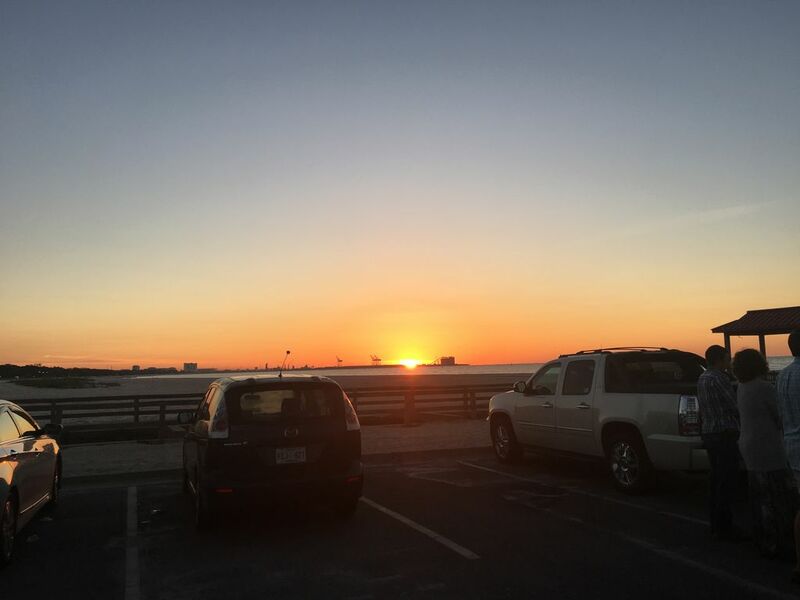 Great vacation Rental in the Historical District of Gulfport - a very short walk to some of the finest restaurants, across the street to the beach and Jones Park where you can catch the Ship Island Ferry to the beautiful Gulf Beach there or book fishing charters. All Beach equipment - including beach towels and grass mats - available for your use as well as bikes with owner permission. We look forward to your stay with us! We love living on the coast & are excited for you to come stay with us in our beautiful guest apartment. We love the 2nd Street area! If you stay with us you'll be able to walk to some of the finest restaurants & enjoy jogging on the beach or relaxing on the balcony enjoying beautiful views of the Gulf! This, in our opinion, is one of the best places to live on the coast! This is the place for real southern hospitality with all the friendliness and laid-back atmosphere of the Coast. Hope you come stay with us in our Beachview Apartment! Why stay at a hotel when you can have your own kitchen that you can cook (saving you money while on vacation even if just 1 meal a day). Also has it's own Washer & Dryer !This is a high end unit! We traveled for sports for many years with our kids and wish we had had a place like this to crash where we had our own kitchen and space to relax after a busy day at the gym or on the field. So whether you are looking for a beach get away, a place to quietly work and attend meetings, or traveling with your kids for sports, we are a great central location that works for all of those things! Come stay at Beachview Apartment! We think the best unique benefit to this apartment is that it instantly feels like a place you can live. Furniture is new, beds are comfy with quality cotton linens and the master bath and kitchen are the typical size you would see in a condo you would live in full time! This is a growing and developing area as well. Since Katrina wiped much of the coast out in 2005, the City of Gulfport and its stalwart citizens, have been steadily repairing, replacing and making improvements. Big additions to the port, new shops and restaurants coming online all the time, and the Mississippi Aquarium opening in 2019 less than a block from our house show the resiliency of this part of Mississippi. We love the outdoor living this part of the world affords - whether walking in our beautiful neighborhood or taking in the Gulf Breezes as we walk along the beach. You will be a 5 block walk to a local park/playground on 2nd Street that includes a tennis court. You will be 2 blocks from Jones Park where there are big open spaces for picnicking, a splash pad and play area for kids of all ages, and walking trails and the harbor - we love to go there at sunset in the summer and watch that globe paint the sky over the boat masts. Great place to stay for our family! Beautiful place and had everything we needed for our stay! Paula and Lanny are great and knocked it out of the park for our family. I highly recommend this rental for a stay in Gulfport. We can’t wait to have you! Such a sweet family! We are returning to Texas and Colombia respectively with the greatest memories of our trip to Mississippi because of Paula and Lanny. We have used Home Away at least four times, and this one, so far, has been the stay that we have enjoyed the most. We weren’t familiar with Gulfport, but the Beach View Apartment book they have is carefully organized with recommendations was key to help us plan our vacation’s days. The apartment has everything and more than we needed; we did not miss a second at home; and more important for us, we felt welcomed at the apartment and loved the treats. Thanks for going above and beyond. Paula and Lanny are amazing hosts. Great Location / Beatiful Place To Stay! This spot was perfect for our visit to Gulfport. Very close to the beach, restaurants, and activities for the kids to do. The family didn't want to leave, and we are already planning our return trip for next year! Come see us again! Loved having you!! We enjoyed staying in this beautiful condo. The hospitality we received was first class and the whole experience was more than we expected it to be. Thank you for making our honeymoon a memorable one. We would certainly recommend this property to anyone who is looking for a quiet getaway to Gulfport! The location is perfect for walking to the beach or catching the ferry for Ship Island. Love the owners who give a personal touch to renting. Make this your next stay. No regrets, will stay again. Excellent Apartment by the Beach in a quiet neighborhood! We really enjoyed our stay in Gulfport at this beautiful apartment in a newer home. This is an upstairs apartment that is connected to a family home and it was in pristine condition. The owner was great to work with and made sure we had everything we needed. The beach is only about 100 yards away and there are many excellent restaurants just a short walk away! There is also a very nice park and splash park that the younger kids would just love! The kitchen was well equipped and there was a new gas grill on the attached deck. Our family of 5 felt very at home here. We loved having you!! Hope to see you and your sweet family again and again! Bella Mia Brand New Guest House is located in the Historical District of Gulfport, 2 bedroom 2 bath - 1 blk from the beach, 1 block from Jones Park, Short drive to casinos, walking distance to Chappy's Salute,Chimneys, Big Mikes Speak Easy, & Many more Restaurants & Bars which you can walk or ride your bike Downtown. Close to Art Gallaries, Antique Shopping, Outlet shopping and just a Short Drive to the Gulfport International Airport! Soo much more..you must visit!